As you fly over the Loire Valley in a hot air balloon, helicopter or glider, you will enjoy a view that will take your breath away! From up high, see how the Loire widens, dotted with sandbanks, and admire the vineyards stretching as far as the eye can see on either side. 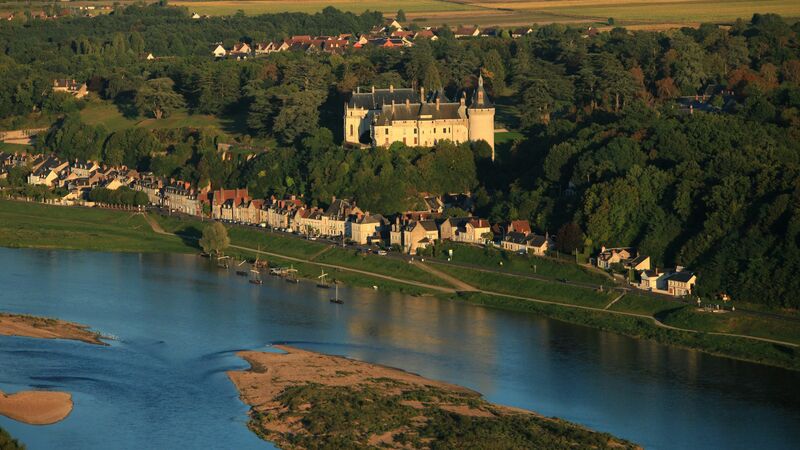 Last but not least, travel over the famous Loire châteaux and the region's small villages! 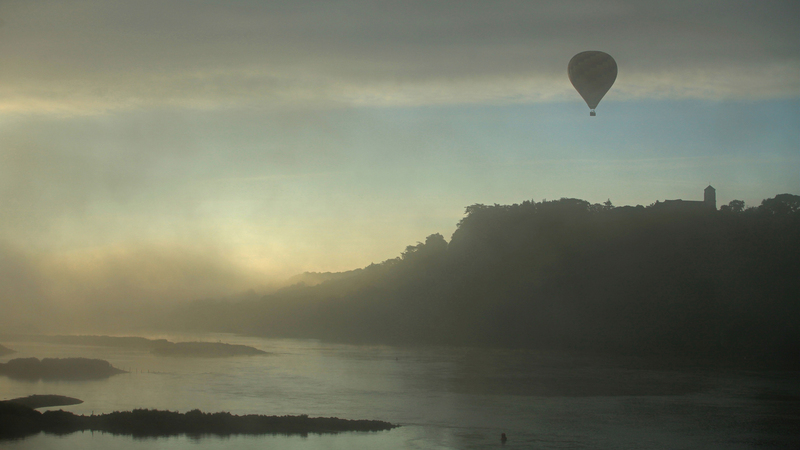 Fly through the Loire Valley in the gondola of a hot air balloon! Discover the local area from the sky at a height of about 500 m, as well as close up as you skim over the royal river! For about an hour, you will fly over the iconic towns and châteaux of the Loire Valley, such as the Château of Chenonceau or of Montsoreau or the tower of Oudon. You can also admire the vast expanse of vines, like those in the vineyards of Touraine and Saumur and on the hills of the Loire. 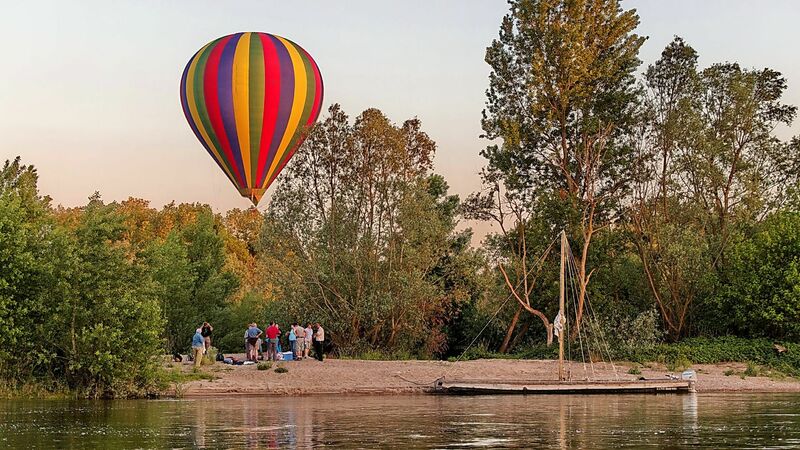 This is an unforgettable experience which will be enhanced by the light of early morning or late afternoon, the only time the balloons can fly. For a heightened experience, opt for a glider flight! Did you know that Leonardo da Vinci, who lived the last part of his life in Amboise in the Château du Clos Lucé, was in some way the father of the helicopter? Pay him tribute by boarding his invention and discovering the many other facets of the Loire landscapes. If you are more daring, you can do sensational parachute jump or take a trip in a microlight! Or, if you prefer to keep your feet on the ground, you can still admire the Loire Valley from one of its many viewpoints. 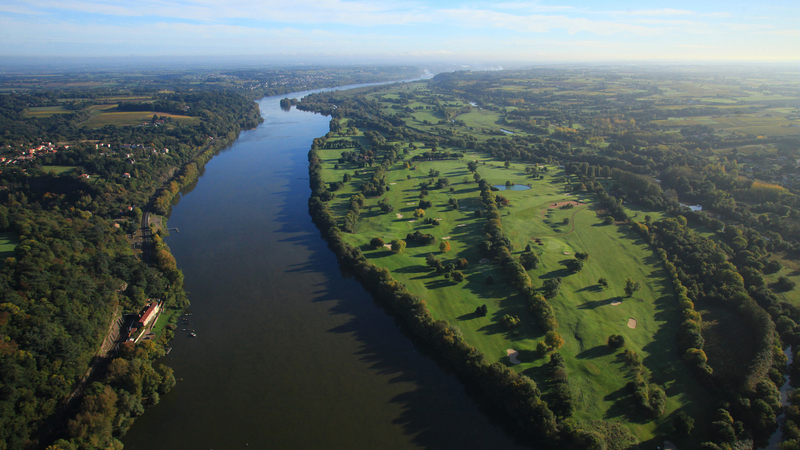 Fly over the Loire Valley with professionals in the Loire Valley.